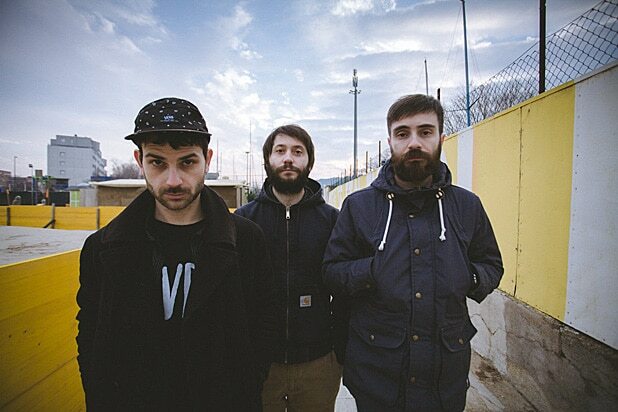 The Italian rock band Soviet Soviet were denied entry to the U.S. earlier this week while traveling to the country for the South By Southwest Music Festival. In a statement released Friday, the band described being questioned and jailed while attempting to enter the country on March 8 for the event in Austin, Texas. “The control agents who did a quick check on the concerts we informed them of noticed that two of the venues were asking for entry fees and this was enough to convince them that we needed work visas instead of an ESTA [Electronic System for Travel Authorization],” the statement says. The band’s ordeal follows recent outcry surrounding the SXSW film festival performance agreement, which threatened to deport performers from outside the country if they played shows not authorized by the festival. “Accepting and performing at unofficial events (including unofficial events aside from SXSW Music dates during their visit to the United States) may result in immediate deportation, revoked passport and denied entry by US Customs Border Patrol at US ports of entry,” the contract read. But with this year’s festival featuring the special program “ContraBanned: #MusicUnites.,” highlighting acts from countries affected by President Trump’s travel ban, the contract language was met with some backlash. One act, the Brooklyn-based band Told Slant, chose to cancel its scheduled performance at this month’s festival as a result. We arrived in Seattle on the afternoon of March 8. We made our way to passport control with our ESTA, a letter from our American label (in which the label owner declared we would be performing a series of concerts for promotional purposes only and that we would in no way be receiving any form of payment for those shows) and a written invitation on the part of SxSw in hand. The first of us to get through passport control was Ale (our drummer), who disclosed the promotional purposes of our trip to the police officer. Ale (our guitarist) and Andrea who both explained the exact same thing were held up and escorted to another office. Subsequently, we were all called back and interrogated individually, in three different rooms. We were able to have the agents speak directly to the owner of our American label without any success, however. After almost 4 hours of questions they told us their verdict. They had decided to deport us back to Italy and deny us entry into the United States. They declared us illegal immigrants even if our intention was by no means to look for work in the United States nor never go back to Italy. We accepted this decision as it seemed final at that point. They took our digital fingerprints and took mugshots of us for their file. They confiscated our cell phones and we were denied the possibility of contacting our families and loved ones. Around 10:30pm, two prison officers frisked us, handcuffed us and brought us to jail in a police car. We spent the night in jail and had been escorted there as though we were three criminals. The following day, after having completed all jail-related procedures (mugshots, declaration of good health and signatures), two other agents came to get us. We were searched, handcuffed and again escorted in a police car. They took us to the customs office we were in the previous day and we waited for our return flight which was scheduled for around 1:00pm local time. Only a short while prior to taking off were we able to get back our cell phones and bags and we were escorted right up to the airplane. We were relieved to fly back home and distance ourselves from that violent, stressful and humiliating situation. We left Italy headed towards the US with all necessary documents, passports and various declarations in which we clearly explained the purpose of our tour, confirming it is was strictly promotional and that we were in no way going to earn money from it or receive any form of payment. We knew that if we were to receive any compensation we would have had to apply for work visas. This was not the case and the people we spoke to for information told us we would be fine. We had not agreed on any payment whatsoever and the scheduled showcase performance at KEXP was most certainly not a paid performance. The point is that the control agents who did a quick check on the concerts we informed them of noticed that two of the venues were asking for entry fees and this was enough to convince them that we needed work visas instead of an ESTA. We accepted this situation even if we tried to no end to explain the situation and that we were not receiving any form of payment, but there was simply no way of convincing the officials we spoke to. From that moment onwards, we became three illegal immigrants and were treated like criminals. This is what happened this past Wednesday and Thursday. We would like to thank the people who supported and helped us throughout this ordeal, including Alessio Antoci, Owen Murphy and John Richards. We would like to apologize to our fans, the owners of the venues, KEXP radio and the SxSw festival. We would also like to apologize for having had to cancel our American tour and hope to go back soon. Forbes' annual ranking of the top-paid entertainers includes some stand-out musicians. The totals are based on earnings from June 2015 to June 2016, with figures from Nielsen, Pollstar, Songkick, Box Office Mojo and other sources. Can the Canadian-born singer still feel his face? He catapulted into arena tour status with his 2015 hit album "Beauty Behind the Madness." The Irish rockers may have lost some steam since their record-shattering 360 tour from 2009-2011, but they still can pack in fans. The country star has become a fixture on the summer arena tour circuit, supplementing his income with endorsements for Corona beer, Costa sunglasses and his own brand of rum. The Biebs had a very good year, with a hit album, "Purpose," arena concerts, merchandise sales and a Calvin Klein modeling gig. The former Beatle continues to be a prolific touring artist, and he earns a fortune from music publishing rights. The Boss makes a mint touring with the E Street Band and plans a new solo album for late 2016. Though he's planning a Bad Boy Reunion tour for the second half of 2016, the rapper makes the bulk of his money from his clothing line and a big-bucks deal with Diageo's Ciroc vodka. The Scotsman (and T. Swift ex) is the top-grossing deejay in the world, with the bulk of his revenue coming from high-paying Las Vegas gigs. The British rockers played only 27 gigs in the period Forbes studied -- but mostly to near sell-out crowds in humongous U.S. stadiums. The metal giants only seemed to boost the success of their concert tour when they replaced ailing lead singer Brian Johnson with Axl Rose. The 54-year-old country star is now on the second year of his comeback concert tour, with international dates planned well into 2017. Her album "Anti" was another No. 1 hit, and she boasts endorsement deals with Dior, Puma and Samsung. The Material Girl's Rebel Heart tour grossed more than $170 million; she also has successful clothing and perfume lines. In addition to sell-out arena concert performances, the British singer sold a record 3 million-plus copies of her album "25" in its first week of release last November. Despite the exit of Zayn Malik in March 2015, the now four-man British boy band benefited from its On the Road Again tour. Her North American tour last year smashed the record set by the Rolling Stones, plus she raked in additional cash by promoting products such as Apple, Diet Coke and Keds.